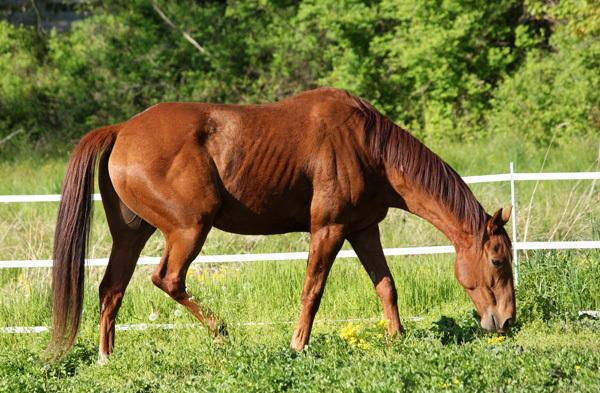 Gunner, a 17hh standardbred pacer, went through several homes before landing with Jess. Each time, he was sold because of his awkward gaits, goofy personality, and tendency to throw tantrums when the work got hard. When Jess got him, Gunner was under-muscled and had no idea what order to place his giant feet in! Jess signed up for weekly lessons, which started with a lot of basic ground work exercises to teach Gunner suppleness and body awareness. We incorporated ground poles, cavaletti, and round penning. In the beginning, things were a little rough. Jess continued to persevere and do her homework, week in and week out, and soon, the results really started to come together!! 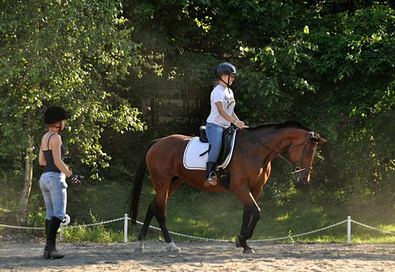 Gunner gaits and balance improved, and we started to be able to do more and more dressage together! His canter also improved... so much so that people questioned whether he was really a standardbred!! Gunner went from being the horse everyone gave a wide berth, to being one of the most reliable horses in the barn! 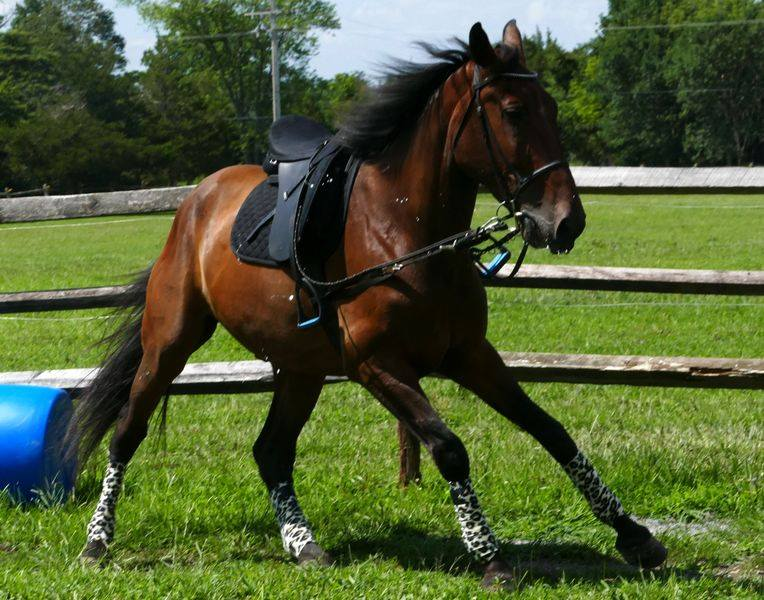 He is currently the go-to mount for anyone who wants to try horseback riding for the first time! It turns out he also has a ton of scope and is very willing over fences, now that he knows where all his limbs go. These days, Gunner does a little bit of everything, from dressage and jumping, to trail riding and winning hunter paces. He and Jess even attended the National Standardbred Show, where they made their dressage debut! Their story proves that hard work pays off!! ​The top photo was taken in the fall of 2017, when Sam started taking lessons with her new mare, Kylie. Kylie was a safe, quiet horse, but she didn't have much formal training. The mare was tense, braced, and struggled to accept a contact. Others had suggested putting her in draw reins to "make her give", but this smart paint girl protested pretty clearly to that idea! 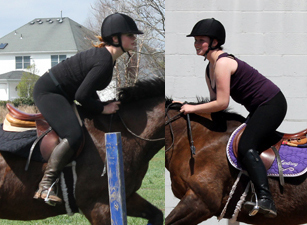 The bottom photo was taken 11 months later at the ESDCTA Championships at the Horse Park of NJ. After a very successful season of showing, Sam and Kylie qualified for the finals, and did really well! More impressive than the scores, however, was Kylie's total transformation in less than one year! While there is still plenty that we are actively working on, Kylie's attitude, balance, and understanding of the aids have improved dramatically, and we are all very excited to see what the future holds for this promising pair! CP, a 5 year old Welsh x Arab pony, was bought at the auction as a two year old with an unknown history. When it came time to break him to ride, the pony revealed that he had a nasty buck and a stubborn streak. After he launched several riders, including professional trainers, and sent a handful of people to the hospital, his owner knew the pony needed help. 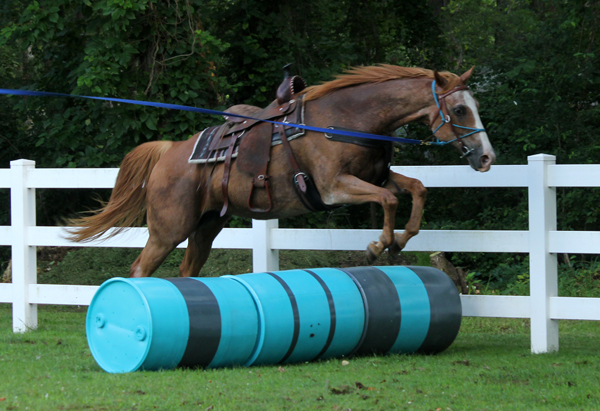 The pony joined TUH as a full-training client in March 2012. He stayed for six months. In that time, he made an incredible and well-documented turn around. In his early days at TUH, CP demonstrated a buck and 'teleport'. When his tricks didn't get him his way, he resorted to throwing a tantrum as soon as his rider was on board. In the first 30 days, CP learned to stop throwing tantrums at the mounting block and in the ring. We kept the work simple and the reward great. Once he was settled in his routine, we started getting him out on the trails to keep things interesting without over-working the young, green horse. CP started to understand that work could be fun and we started to recognize him for what he was... a pony with a good work ethic and a lot of talent. During the second month, CP started working harder in the ring at home. Following the TUH approach, he was put through cross training, which featured both dressage and jumping. He learned about suppleness, leg yields, bending, and engaging his hindquarters. He proved to be a flashy mover, and with consistent riding, began to school first level movements at home. 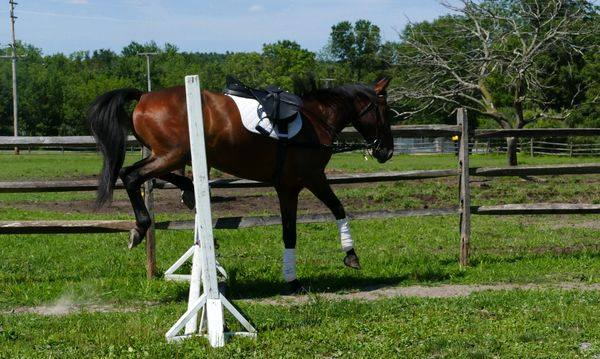 Once the flat work was well installed, CP started doing more jumping. Ground poles, cross rails, and verticals grew into solid jumps, flower boxes, and oxers. The pony schooled 2'6" consistently, focusing on form, rhythm, and reliability. He showed a lot of talent, willingness, honesty, and scope. He free jumped 3' with the ability to go higher. At four months, CP was becoming a well-rounded pony both on and off the farm. He was entered in his first hunter pace. He shipped quietly, tied without event, and led the way around a twelve mile course, jumping some of the obstacles along the way. He cantered safely in open fields, crossed water, and braved traffic. He proved to be as safe away from home as he was becoming on the farm. By this point, CP had really come out of his shell. He showed the potential to be an eventer and it was time to see if he was as good on the cross country course as he was in the ring. He was! The pony bravely conquered the water complex, his first banks, and solid jumps the likes of which he hadn't seen at home. Despite high temperatures and grueling work, the pony stayed pleasant. He surprised everyone by jumping Beginner Novice despite only standing 13.2hh. The last month of CP's stay at TUH was spent showing at a local dressage venue. The pony broke 70% on his second ever outing and qualified for championships despite getting a late start on the series. Despite high pressure and only being under saddle for a short time, the youngster finished well, earning Reserve Champion in two of his classes against older, more experienced horses. CP went home a changed pony. His owner was very happy with his progress and CP's future looks much brighter than it did at the beginning of the season. A problem pony whose outlook was bleak made an incredible turn around and proved to be versatile, willing, and bold. It's amazing what five days a week can do! Be sure to ask how our full training program can work for your horse. Update 6/4/17: CP continues to do well, several years later. He is being leased by a brave young rider and has started a career in eventing. CP still comes back to TUH for lessons and has proved to be a talented jumper. He made his eventing debut by winning his division at his first ever horse trial! Arrow, a 13 year old quarter horse gelding, was rescued by his owner, Kristin. He came with a mysterious past and an equally mysterious brand on his left shoulder. Research revealed that Arrow had started his life as a rodeo bronc out west! Thankfully, he did not display any bronc bucks under saddle, but he did have a few bad habits to work through. In the process, we found out that Arrow had a lot of anxiety about lunging. Needless to say, this behavior was unsafe to both the horse and his handler, and it was blocking him from making further progress with his training. With just a handful of lunging sessions, Arrow really made a turn around. He is now relaxed on the lunge line and enjoys his ground work. Kristin and Arrow on trail. Kristin and Arrow have continued to grow as a team. They regularly go to hunter paces, and now they also compete in western gaming and barrel racing. Arrow has gone from being an unruly horse with a troubled past to a fierce competitor. 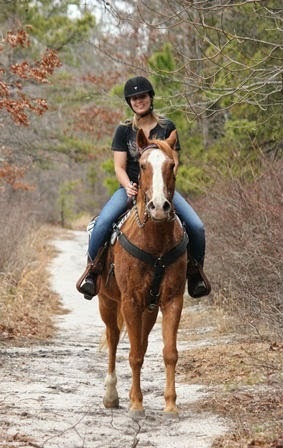 Kristin enjoys regular trail rides, weekend competitions, and the occasional swim with her brave and wiling partner. In 2016, Arrow won Reserve Champion in the adult division on the local barrel racing circuit! Lindsay, an aspiring young eq rider, came to TUH with some confidence issues, and position flaws. She has a great work ethic and the results show. Pictured on the right is her improvement in one moth of lessons at TUH. Lindsay is currently schooling 2'9" at home, and is back to showing, even winning grand champion at her first show of the season! Dreamy had lived most of her life as a brood mare at a well known farm. She got a late start to riding and the weight of a rider initially sent her into a panic. This mare didn't have a mean bone in her body, but her default response was to buckle in the front and try to lay down. In just a few months, she over came her fear and turned into a quiet and safe riding horse. I continued to work with her once she moved into her adoptive home, installing some dressage basics. Dreamy went on to give lessons to a novice 16 year old and the two of them are currently competing as a team. This OTTB came to TUH for some weight gain therapy. His old boarding barn had declared him a hard keeper and couldn't manage to keep weight on him. In a few short months, this big guy blossomed. He filled out, gained muscle, and gained a gleam in his coat. His owner actually didn't recognize him the first time she came to visit during his rehab.